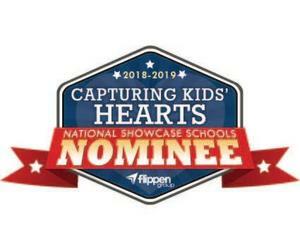 SANTA CLARITA, Calif – La Mesa Junior High School has been nominated for a Capturing Kids’ Hearts National Showcase Schools award for the 2018-2019 school year by the Flippen Group. Four and a half years ago, school administrators began an initiative to transform the campus into an emotionally safe and relationally connected place for students, staff, and parents to come together with a love for learning. 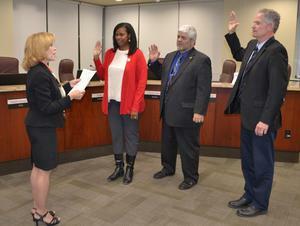 SANTA CLARITA, Calif – Three members of the William S. Hart Union High School District Governing Board re-elected last month were sworn in for their next four-year terms Wednesday night at the board’s annual re-organizational meeting. SANTA CLARITA, Calif – The California Department of Education (CDE) and the State Board of Education (SBE) have launched the second version of the California School Dashboard, a website that gives parents, students and educators access to valuable school and district data. 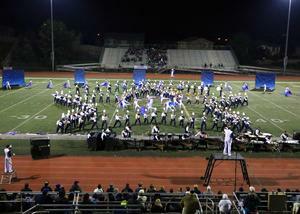 Castaic Principal Melanie Hagman is going to every junior high in Santa Clarita to tell families Castaic High School is an option now open to them. 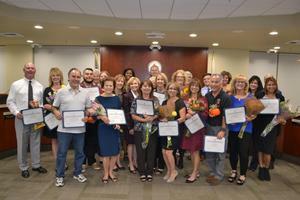 SANTA CLARITA, Calif – Nineteen classified employees were honored as the employees of the year Wednesday night at the William S. Hart Union High School District’s governing board meeting.